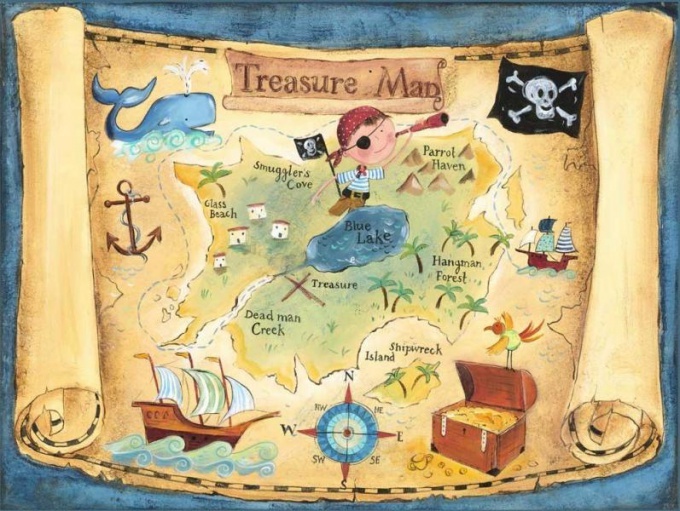 Guys of any age like to compose the map of treasure. For kids is a great opportunity to draw, to dream. 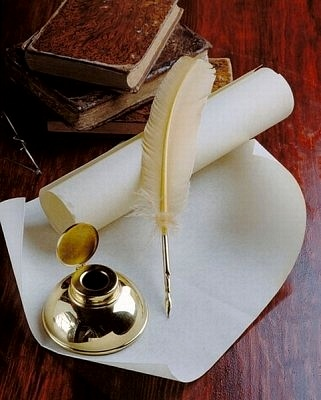 For those who are older is the opportunity to participate in role-playing games, at the same time as author, Director and performer. According to psychologists, role-playing games have a positive impact on the socio–psychological development of children. In addition, mapping a treasure is one of the options of active leisure of children. Of course, it would be nice to connect help adults. Old box with minor little thing, or chest with an old scrap – that is something that is not particularly valuable, but the discovery will be interesting. 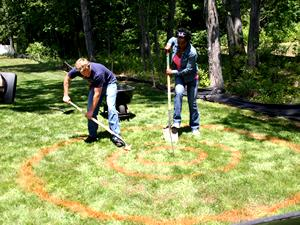 Place it is necessary to disguise the fallen leaves, twigs, etc. will need a compass and map. You can draw a map on graph paper and draw the most convenient, and the kids easier. So, for cards need paints, pencils, paper. Hide "treasure" in an inconspicuous location, such that the kids need to use imagination and ingenuity. Make a map. For "aging" you can use remnants of old paint. On the way to achieving the goal, leave the guys clues – rocks, broken branches, etc., so the boys were sure that they were on the right track. 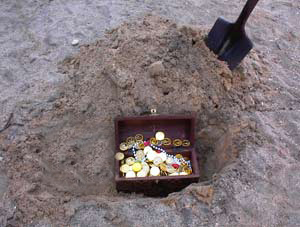 Directly on the place where the buried "treasure", put any label, for example, on the ground, draw "X". Please note – directions need to indicate on the card itself. Little tip to simplify the job, you some places to identify geographically – 5 feet from the corner of the house, 2 meters South from the tree, etc. The map must indicate the specific distance is 10 steps, 2 steps, and clear directions – North, Southeast, etc.